1798 Edward Jenner’s demonstration that inoculation with cowpox could protect against smallpox brought the first hope that the disease could be controlled. 1881 Rubella was accepted as a distinct disease by the International Congress of Medicine. 1885 Dr. Alexander Stewart of Palmerston, Ontario founded a vaccine farm; his cows provided a dependable smallpox vaccine supply for 31 years. In 1916, Connaught Laboratories took over the manufacture of sterile vaccine for uniform, enduring potency. 1906 Pertussis bacterium is discovered. 1924 9,000 cases of diphtheria were reported in Canada; it was one of the most common causes of death of children from 1 to 5 years of age. 1926 Diphtheria toxoid is introduced. 1920s to 1930s 40 to 50 deaths from tetanus were reported annually. 1933 Mumps virus is isolated. 1940 Tetanus toxoid is introduced in Canada. 1943 Routine immunization against pertussis (whooping cough) is approved in Canada. 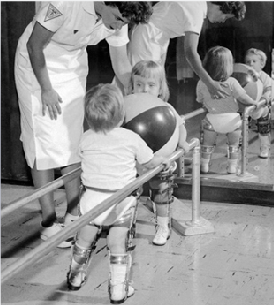 1953 9,000 cases of polio were reported; 12 years later, after the introduction of polio vaccine, only 3 cases were reported. 1954 Measles virus is isolated. 1955 The Salk polio vaccine is licensed in North America. 1962 Trivalent oral polio vaccine is licensed in Canada. 1962 Rubella virus is isolated. 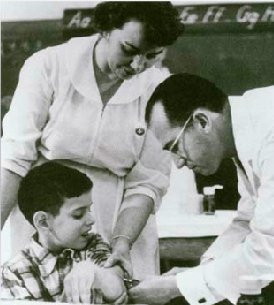 1963 The first measles vaccine is approved. 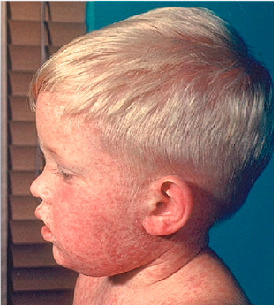 Prior to immunization, an estimated 300,000 to 400,000 cases occurred annually. 1964 The National Advisory Committee on Immunizing Agents (now the National Advisory Committee on Immunization or NACI) was formed. 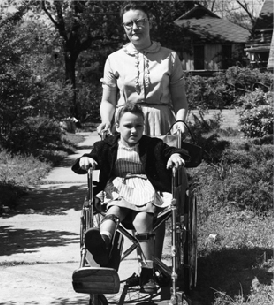 1968 No cases of wild polio virus were reported in Canada. 1969 Rubella vaccine introduced in Canada; incidence of rubella decreased by 60,000 cases per year. 1972 Routine smallpox vaccination stopped. 1977 The last indigenous case of smallpox occurs in Somalia. 1980 The global eradication of smallpox is certified by a commission of eminent scientists and endorsed by the World Health Assembly. 1982 Hepatitis B vaccine available in Canada; school-based programs began in 1987. At its peak prior to widespread immunization, there were 3,000 cases per year; in 2004 there were 829 cases. 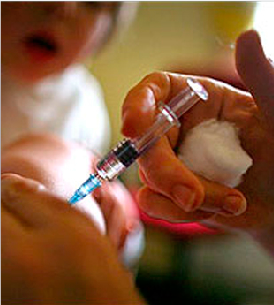 1983 MMR (measles, mumps, rubella) immunization program introduced for all infants. Rubella cases went from approximately 5,300 per year between 1971 and 1982 to fewer than 30 cases per year between 1988 and 1994. 1983 Pneumococcal polysaccharide vaccine is approved for use in Canada. 1988 Hib (Haemophilus influenzae) vaccine introduced in Canada. Prior to routine immunization, there were 526 cases per year in children under 5; in 2004, there were 17 cases in this age group. 1992 Introduction of Hib vaccine in Canada. Before the vaccine, over 400 children with Hib infections were admitted to hospital annually. Four years after introduction of the vaccine, 8 cases per year. 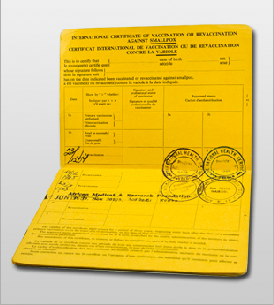 1994 Canada is certified polio-free. 1995 Canada switches from live oral polio vaccine (OPV) to inactivated polio vaccine (IPV) to avoid further cases of vaccine-associated paralytic poliomyelitis (VAPP). 1996-7 Two-dose MMR immunization is introduced. 1997-8 Acellular pertussis vaccine replaces whole-cell inactivated vaccine. Pertussis (whooping cough) outbreaks continue to occur in some communities with low vaccination rates. 1999 Varicella (chickenpox) vaccine is available in Canada. 2001 Meningococcal vaccine against group C strains approved for use in Canada; made available in all provinces as part of routine infant immunization since 2005. 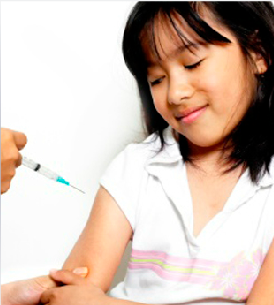 2004 The inactivated influenza vaccine is recommended for all children 6-23 months of age. 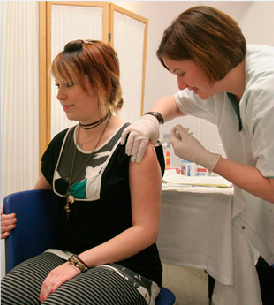 2006 First HPV vaccine is approved for use in Canada to reduce the risk that women will develop cervical cancer. 2006 New meningococcal vaccine with broader coverage against groups A, C and W135 approved for use in Canada. 2006 Live oral rotavirus gastroenteritis (RV) vaccine is approved for use in infants 6 to 32 weeks of age in Canada. 2008 Herpes zoster (shingles) vaccine is approved for use in Canada.